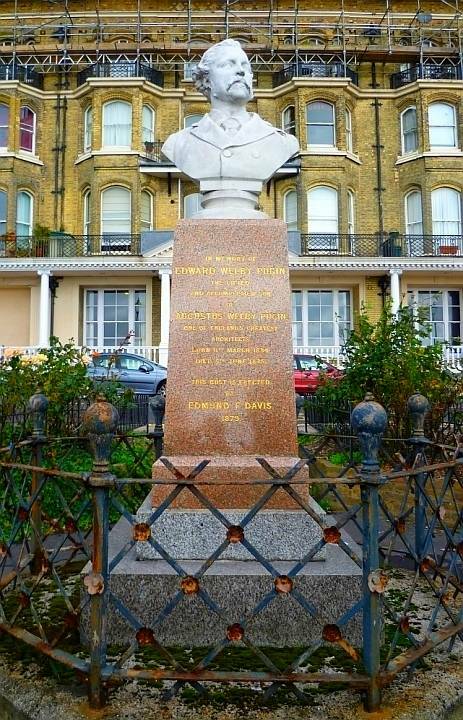 The inscription on the pedestal reads (all in capitals): "In memory of / Edward Welby Pugin / the gifted and accomplished son / of / Augustus Welby Pugin / one of England's greatest / architects / born 11th March 1834 / died 5 June 1875 / this bust is erected / by Edmund F. Davis / 1879." Davis was the entrepreneur and developer who bought the Granville Hotel (behind, now under scaffolding and being restored) in 1875. 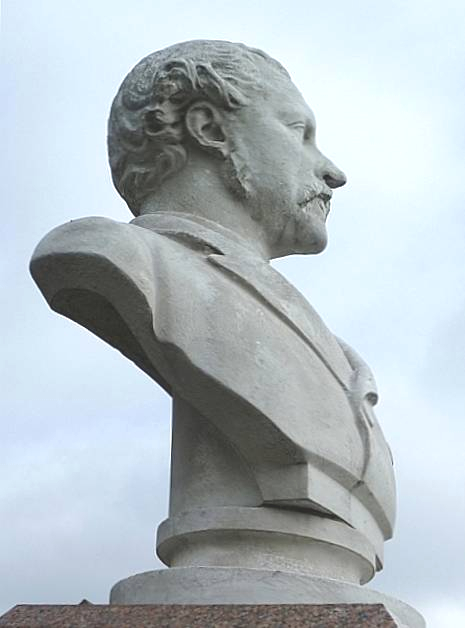 As Catriona Blaker says, the bust nicely conveys the younger Pugin's "energy and vigour" (site 3). Owen Hale was working in the seventies and eighties, and his name crops up on auction sites and in connection with Parian ware with the Copeland trade name (the Copeland family took over the Spode potteries in 1867). Blaker, Catriona. The Pugins: A Ramsgate Town Trail. 2nd ed. The Pugin Society, 2009.